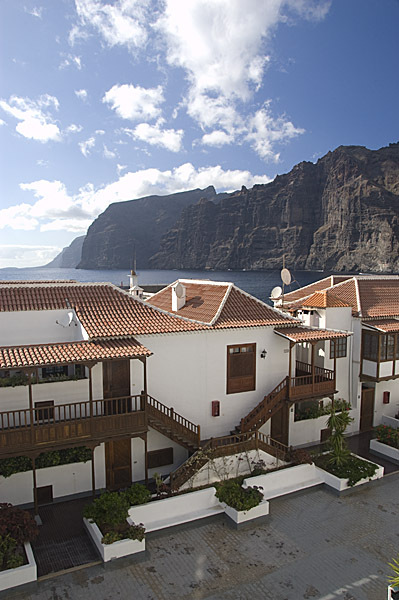 Los Gigantes is a small fishing community on the west side of Tenerife in the Canary Islands. 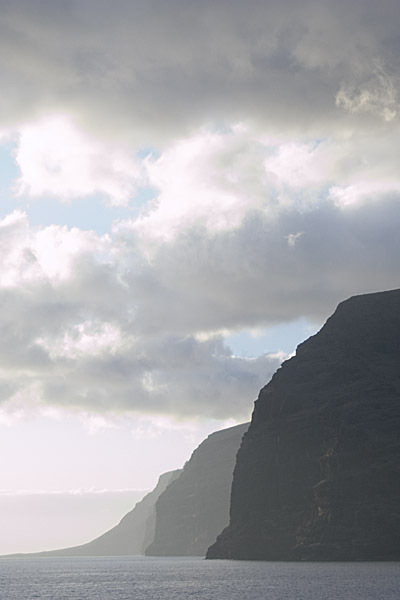 It is named for the enormous cliffs that dominate the shoreline to the north of the village but the name is equally appropriate for the gigantic rays that frequent the area. 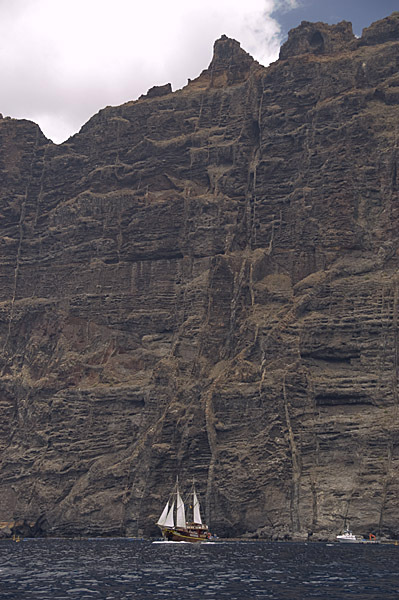 Twenty meters below the surface, the looming walls of volcanic rock terminate among boulders the size of holiday condos. 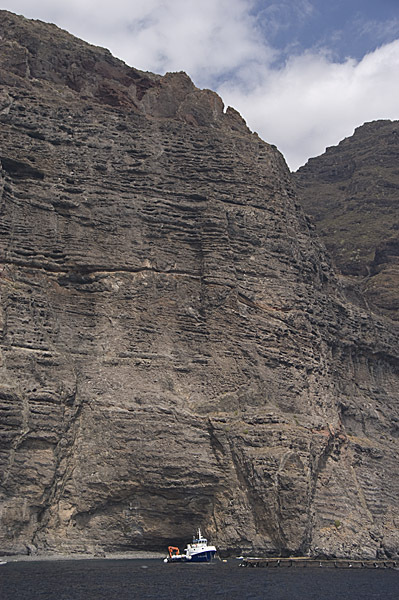 Deeper still, the coral encrusted blocks give way to a featureless, lunar landscape of sparkling, slate gray sand. At first sight, the aquatic desert appears to be devoid of life but appearances can be deceiving. 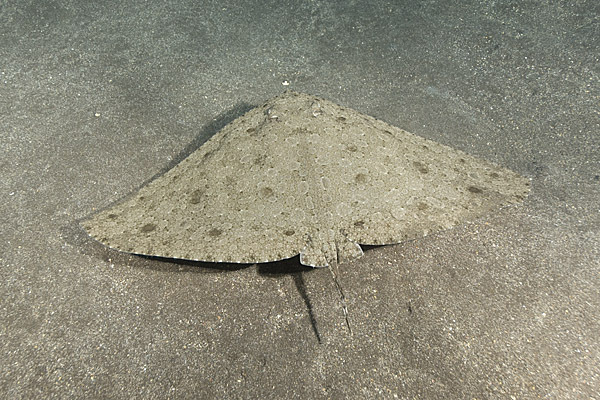 Under thin veils of sand, scores of subtly camouflaged rays and cryptically colored angel sharks lay dormant, waiting for divers to arrive with their tasty treats. 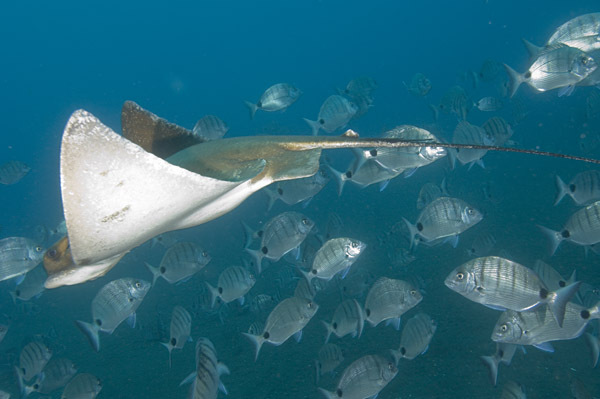 Rays started congregating here in 1996, when the Owner of Los Gigantes Dive Centre had the bright idea of starting an organized stingray feed to attract more divers to the area. The rays responded with as much enthusiasm as the paying guests and before long enough animals had overcome their natural fear of bubble blowers for the feed to be pitched as a ‘guaranteed encounter’. 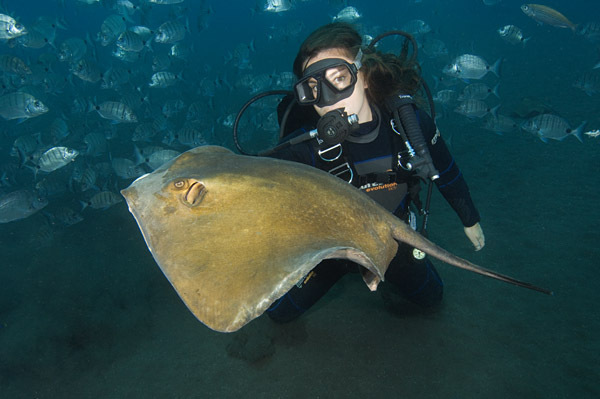 Unlike the ray experience at Stingray City in the Cayman Islands, the feed at Los Gigantes attracts many different species of rays including a few gargantuan roughtail stingrays that probably weigh upwards of 300lbs. 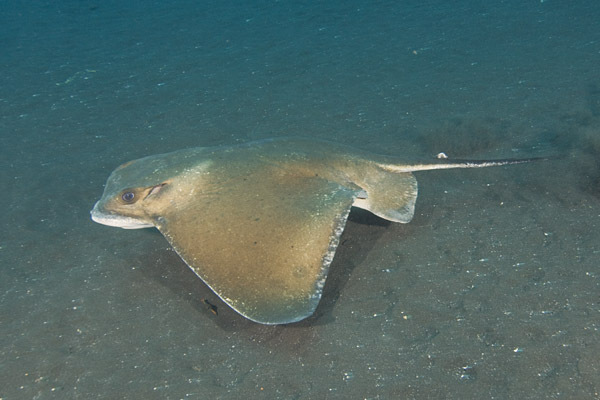 The most abundant species in attendance are usually common and round stingrays both of which can be seen circling the anchor chain as soon as the dive boat arrives. Other regular participants are common eagle rays that soar back and forth scooping up fish scraps as they drift away from the chum barrel. The feed itself is a seemingly haphazard affair. The feeder carries a large barrel filled with carcasses that have been donated by local seafood restaurants. 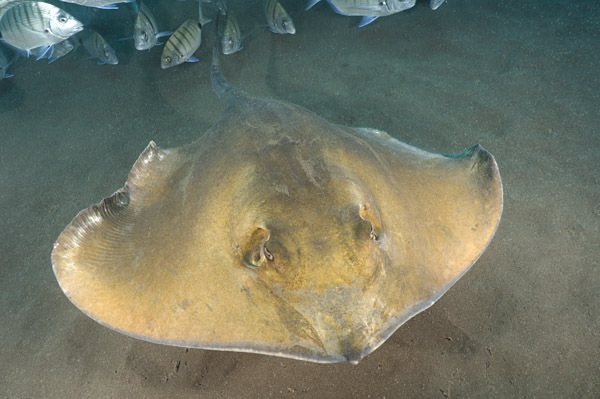 Upon touchdown at 25m, he is immediately mobbed by ill-behaved rays of all shapes and sizes that employ a variety of methods to get at the scraps. 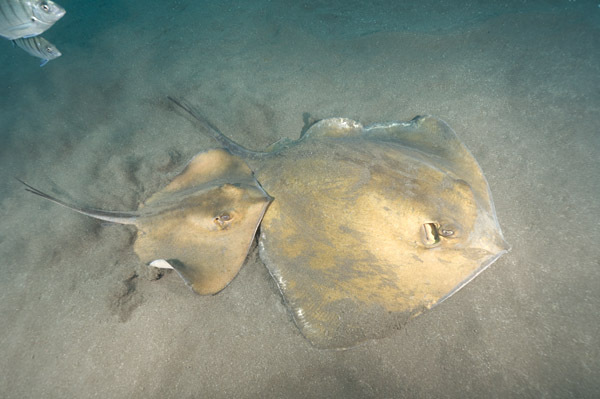 Some of the smaller rays try to work their entire bodies into the bait barrel while their larger cousins use their bulk in an attempt to separate the barrel completely from the feeder’s grasp. The ensuing battle of wits is an entertaining spectacle that can last for a good ten minutes or more. 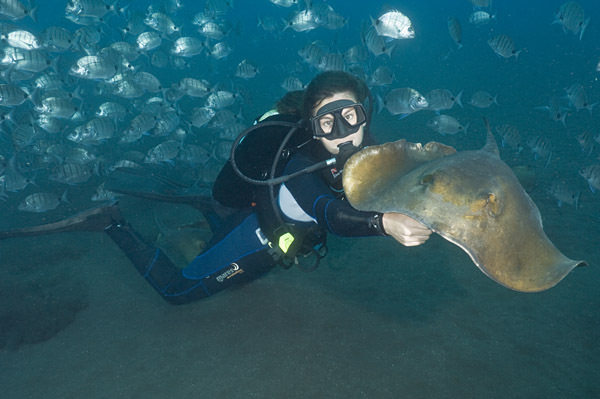 Once the rays settle down, the feeder offers a handful of fish to any divers that want to play ‘one on one’ with the rays at which point the encounter fragments into a series of smaller tussles. At the end of the dive, any scraps that are left in the barrel are unceremoniously dumped in a heap on the sand. The rays which are obviously used to this eventuality, immediately bombard the pile of succulent fish carcasses from all directions until every last morsel has been consumed. Once the feed degenerates into a free-for-all, the visibility generally plummets as well. 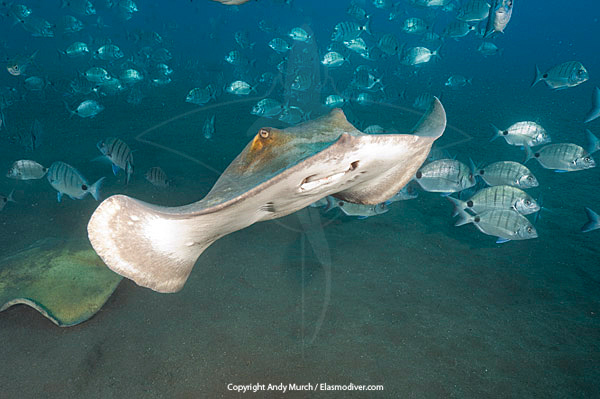 Course grains of sand explode skyward covering rays, divers and cameras alike. Consequently, photographers wishing to capture good shots of the action should plan to get the majority of their images early on in the dive. 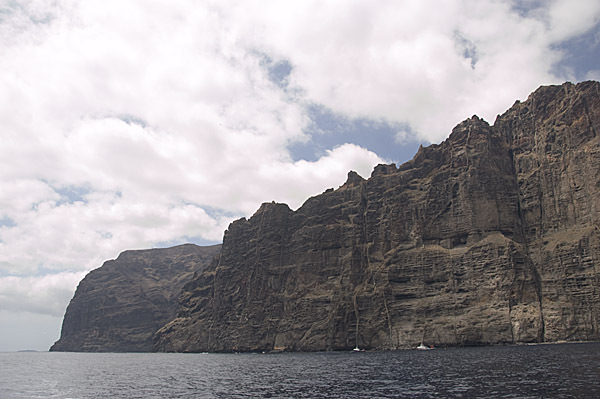 As chaotic as this encounter sounds, no one has ever been stung by a ray at Los Gigantes. 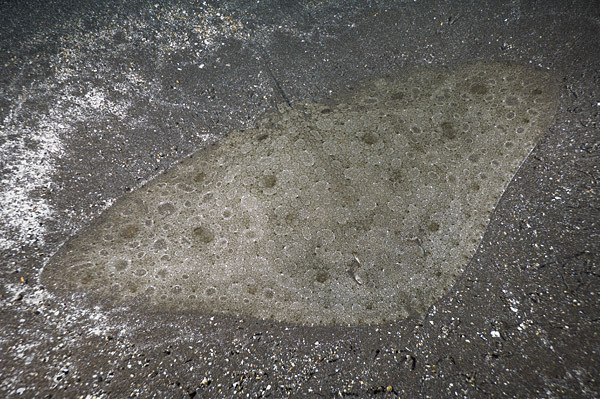 However, there are also many marbled torpedo rays that frequent the area and quite a few people have been shocked by dropping onto the sand directly over an angry, buried torpedo. 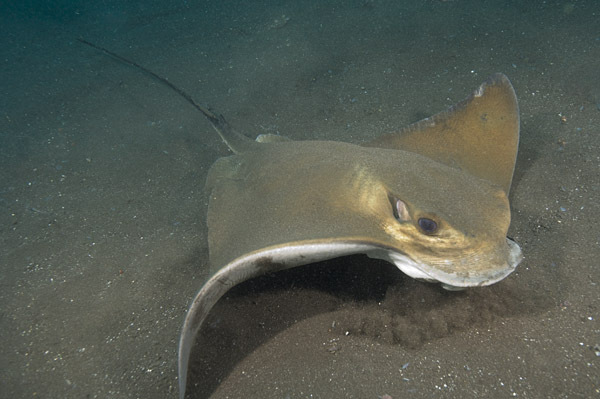 Although torpedo rays can emit a painful electrical punch, the jolts have no lasting physical effect. If they have the chance they will also warn divers by lifting off the sand and arching their backs. If you see this odd behavior, try to quickly back away. 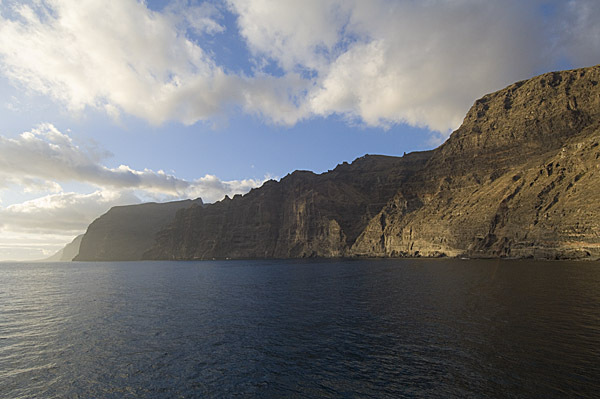 Rays may abound at Los Gigantes but shark encounters are few and far between. 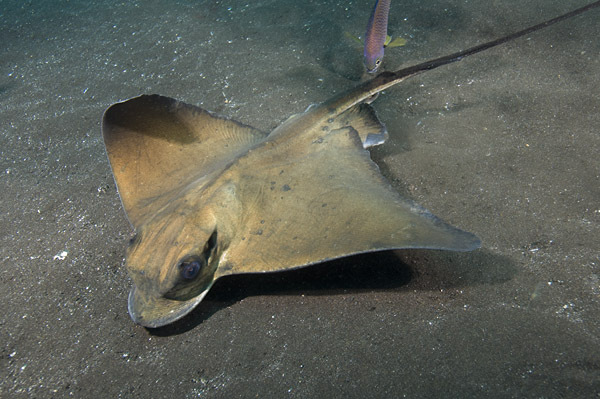 Although there are not many reef sharks, the area is home to a healthy population of common angel sharks that occasionally venture into the fray. Between organized feeds they can sometimes be found lurking under the sand in the immediate vicinity. 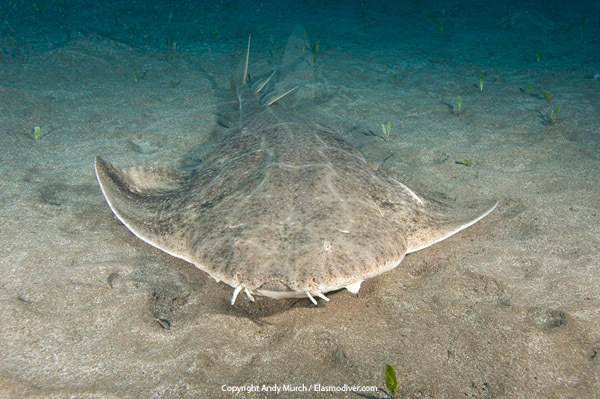 Angel sharks are flattened ambush predators that lay motionless on the substrate waiting for small fishes to swim close to their mouths. Once a suitable victim strays within striking distance, they explode from the seafloor faster than the hapless fish can register, then meld back into the sand again until another meal passes by. 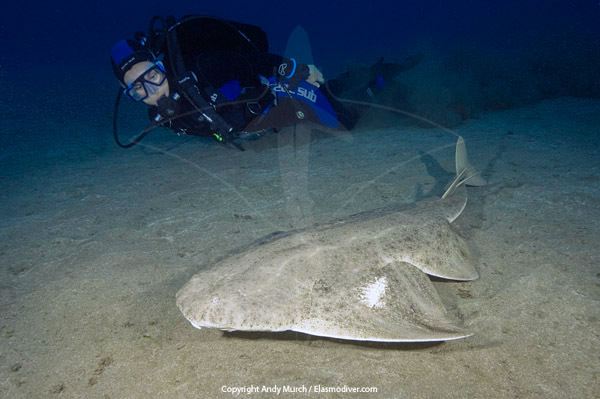 Sadly, common angel sharks (Squatina squatina) are now anything but common. 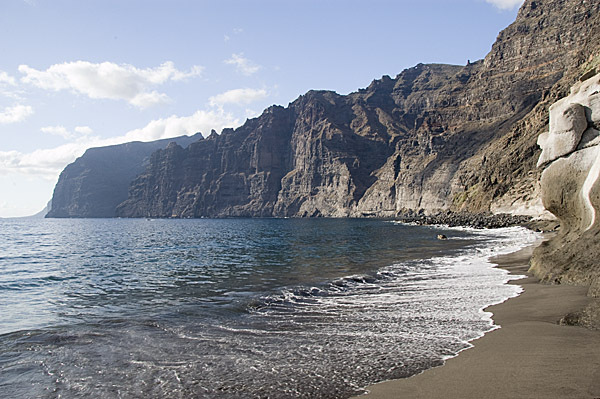 Their range once extended along the continental shelves of Europe and North Africa all the way from Norway to Mauritania including the Mediterranean and Black Seas. 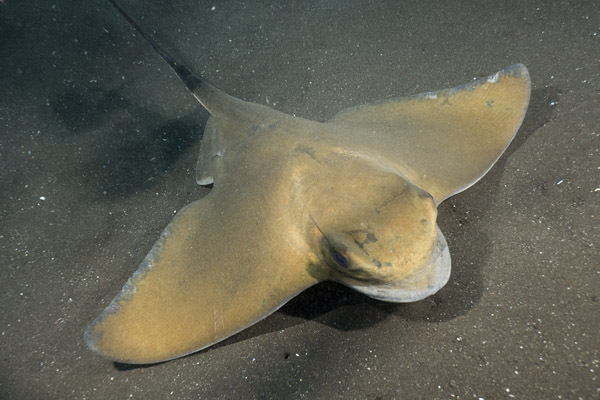 Although there has never been a large targeted fishery for common angel sharks, their sedate, bottom dwelling nature leaves them extremely vulnerable to accidental capture in bottom trawl fisheries. 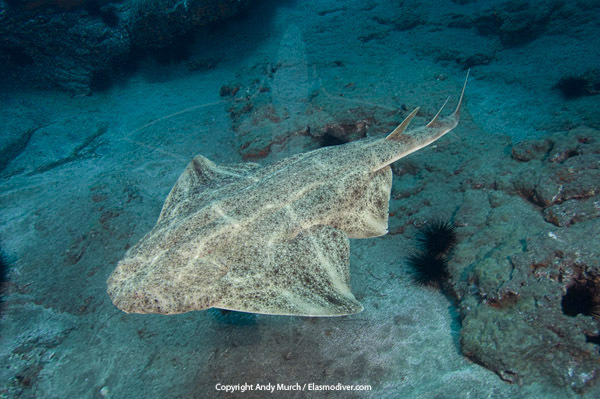 Except for the healthy population around the Canaries, common angel sharks are now rarely encountered. In fact, they are considered to be locally extinct in much of the North Sea. Other random elasmobranchs that occasionally stop by include large bull rays and (very rarely) a distantly passing hammerhead or two. 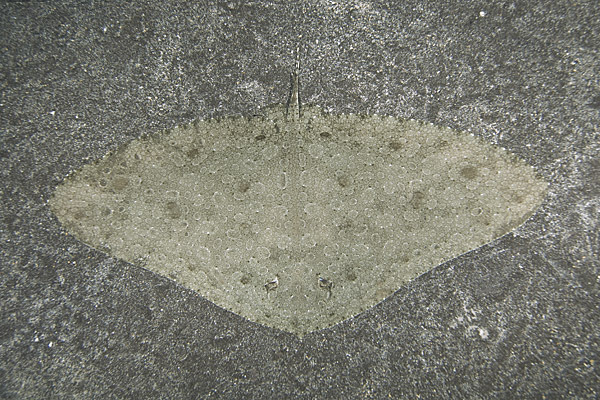 Perhaps the most beautiful visitors are the spiny butterfly rays which take on the appearance of flying Persian carpets when they alight from their sandy hiding places and glide miraculously over the seafloor. 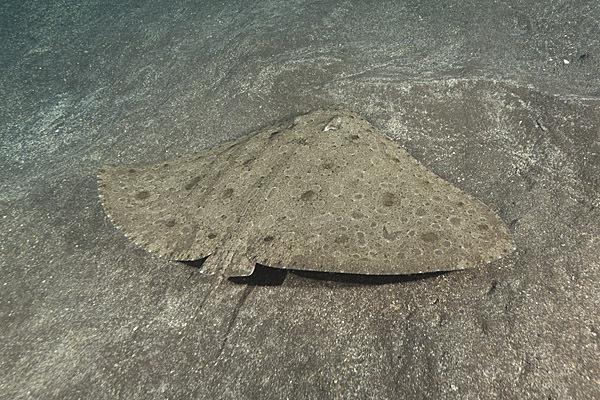 Following a graceful butterfly ray as it wafts along slowly undulating its exquisitely patterned pectoral fins is an experience not soon forgotten. Although the demand is great, the dive centre purposely limits the feeds to one per week in order to stop the animals becoming reliant on scraps. Fortunately the area has a lot more to offer divers. 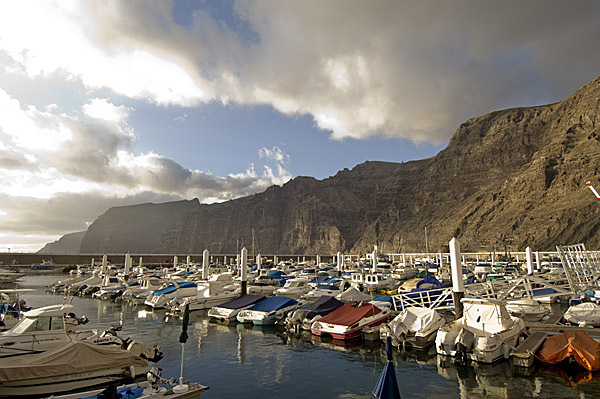 Octos, morays and a myriad of fishes inhabit every nook and cranny but the rays of Los Gigantes remain the star attraction.